For some time now, the Choma Museum and Craft Centre (CMCC) has certainly been one of Zambia’s busiest museums. 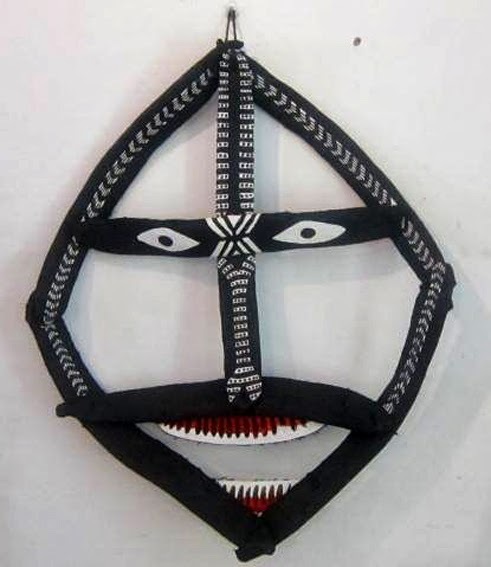 Known for its effective community outreach programmes, working with women’s art and craft groups such as the Kalcho Group and Mumuni Club of Pemba the Choma team have consistently tried to at least have an art exhibition showing in the main gallery space too. Currently on display is “Women under the Sun” an all-female show that features about 12 individual artists alongside the women’s clubs who bring in an aspect of crafts. It features artists at various stages in their careers, a mixture of alternating skill levels too and some of them are drawn from Livingstone such as the more familiar Agnes Buya Yombwe, Clare Mateke and Gill Zulu. 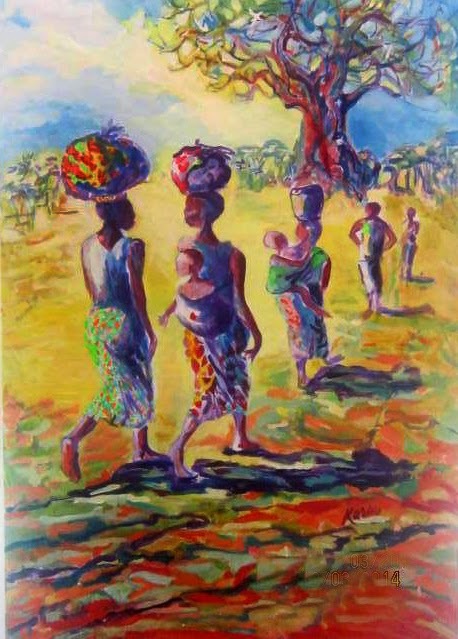 It also features the remarkable work of Peggie Kawanga-Omar, relatively new on the scene, she lived in South Africa, Singapore and China but is now settling down in Livingstone. Her technique involves a kind of applique except the embroidery involves cross-stitching that is more elaborate, and through this needlework she creates floral patterns, animals as well as Bible scenes. It turns out she took this craft up when she was about 12 in Mansa but considered to take it up more seriously about seven years ago, while in China. Some of the artists in the show are quite young and only beginning to blossom in their careers such as Sunga Mwila and Theresa Bwalya both of whom are 22 years of age. Mwila recently took up apprenticeship at the Yombwe’s Wayi Wayi Art Studio and Gallery in Livingstone where she is under the supervision of Agnes Yombwe learning the basic principles of art and design. However, she has an exceptional talent in weaving fashionable handbags out of discarded plastic bags – some of these bags are available for sale at the exhibition -- a skill she started exploring after she wrote her grade 12 examinations. She was later spotted on television by William Miko who introduced her products to Twaya Art Gallery at Intercontinental Lusaka where she began to display and sell them and before landing a job at the River Gallery in Livingstone she had the opportunity to successfully exhibit her products in Norway. 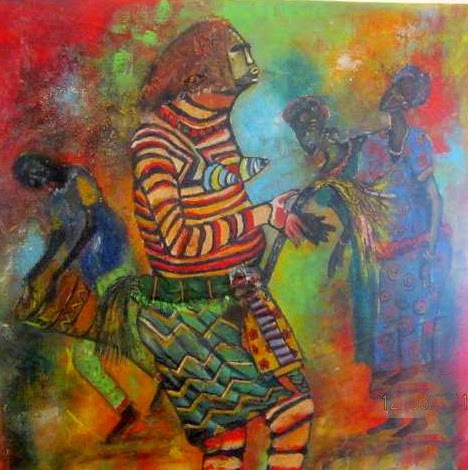 And Bwalya, her contemporary, is a self-taught artist, both a painter and a sculptor, who has been quite active on the Livingstone circuit for the past three years having shown at the Livingstone Museum, Wayi Wayi Art Studio and Gallery, the Zambezi Sun Hotel and Olga’s Italian restaurant. She appears to have chosen an abstract path working mainly in bursts of colour that one would say are distinctively Zambian and resembles the chitenge fabric. A pleasant surprise in the exhibition is Yande Yombwe. 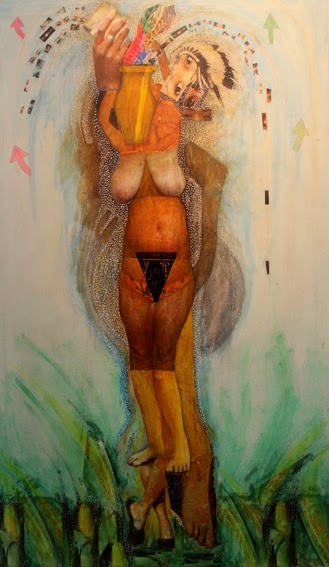 She is known to have exhibited in two children’s exhibition while living with her parents Lawrence and Agnes – a famous couple in Zambian contemporary art -- but this is the first time she is showing on a professional – or grown up – stage as it were, so it is pretty much her debut onto the scene. It is no new thing that the complexities of carrying the weight of a famous name and an outstanding legacy has been a challenge to many, because society often judges one by the success of their successful parents when one follows their (parents) path. 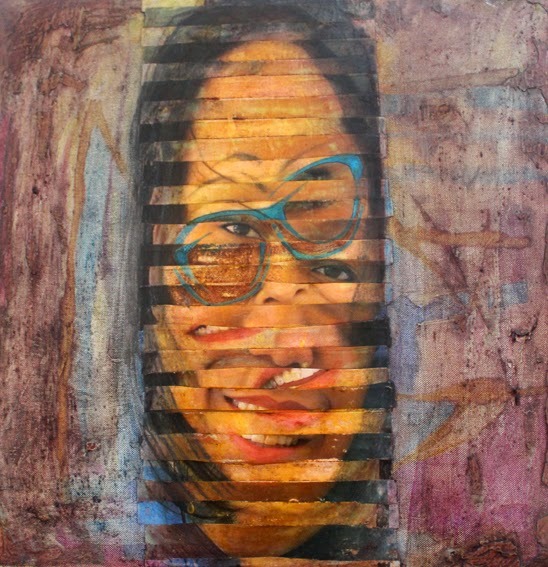 But, the 19 year old second year student currently studying Art and English at Evelyn Hone College has proven to be brave enough providing two pieces to the exhibition entitled Life I and Life II. 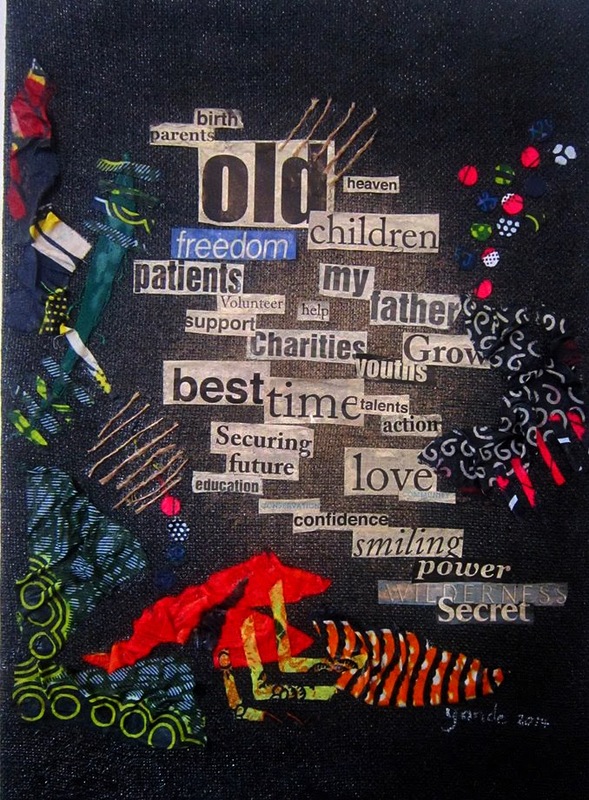 Both are phrased, mixed media collages that appear to arouse the imagination to examine the futility of life. 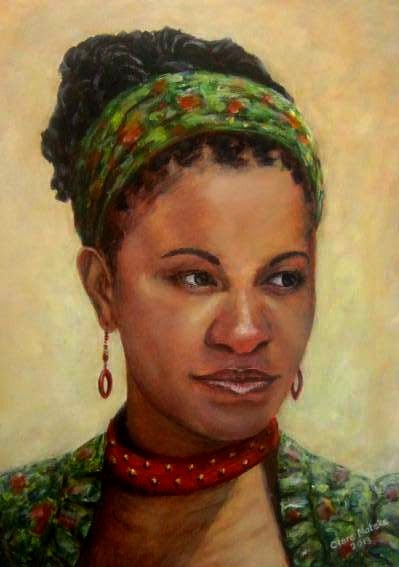 Other artists featured in the exhibition are Ronee Mushipe, Sabina, Belinda Mudenda, Dawn Pohl and E. Danckwerts. The Mumuni Club have a colourful array of wine bottle and toilet roll holders made of printed fabric on display; and viewers should expect reasonable prices for both the artworks and the crafts. According to CMCC Executive Director Bevine Sangulube, “Women under the Sun” is a special exhibition for female artists in line with the celebration of International Women’s Day which fell on the 14th of March. It was officially launched by Choma District Commissioner Bernadette Hamweene on behalf of the Provincial Permanent Secretary for Southern Province, Margret Miyoba. It runs until the 31st of May so viewers still have plenty of time to see it, whether you are based in Choma or simply passing through heading to or from Livingston or the Southern province. The museum is just along the roadside and can hardly be missed because it is easily identifiable by the huge 2.5 metre steel balls displayed on the lawns that were originally used to clear the planned harbour sites and fishing areas of Lake Kariba during construction of the dam wall. It is recorded that these steel balls were connected to bulldozers by battleship anchor chains and dragged through the bush, smashing everything in their path. Each ball cost £2,500 and each chain, £ 6,000 which was a fortune during the construction of the mighty dam in the 1950s. Using these balls, it was possible to clear 50 acres per hour. Apart from the art showing in the museum, they too are a spectacle and surely ideal for photo opportunity as they are unique to the town. Choma is also the home of Njase Girl’s Secondary School which has the 42-year-old Christian art murals painted by late Emmanuel Nsama on permanent display. They were recently restored by William Miko and a team of artists under a Mural Restoration Project sponsored by a German missionary couple after undergoing severe damage over the past four decades. Any heritage enthusiast, art lover or tourist would find these colourful life-sized works of art thoroughly enjoyable to look at. If lost seek directions from the friendly museum staff. Launched by the World Wildlife Fund (WWF) in July last year, the International Wildlife Trade Campaign, an on-going, one year sensitization project aimed at combating poaching and the illegal trade in wildlife commodities has taken on a creative twist with the Zambian country office engaging artists in the campaign. “As country office we have to design our own campaign programme, and we decided to base it on three main objectives. The first is to lobby and advocate with policy makers and government for stiffer penalties on wildlife crimes. Second to lobby government to make increased commitments towards fighting illegal trade,” said WWF Zambia country office Species & Protected Areas Coordinator, Moses Nyirenda in an interview. He explained the third objective was to increase public awareness about the seriousness of wildlife crimes on the local economy, livelihoods and tourism in the country. “We have considered art for the third objective. We thought we could use artistic productions with regards sensitizing the public towards the illegality of the trade. 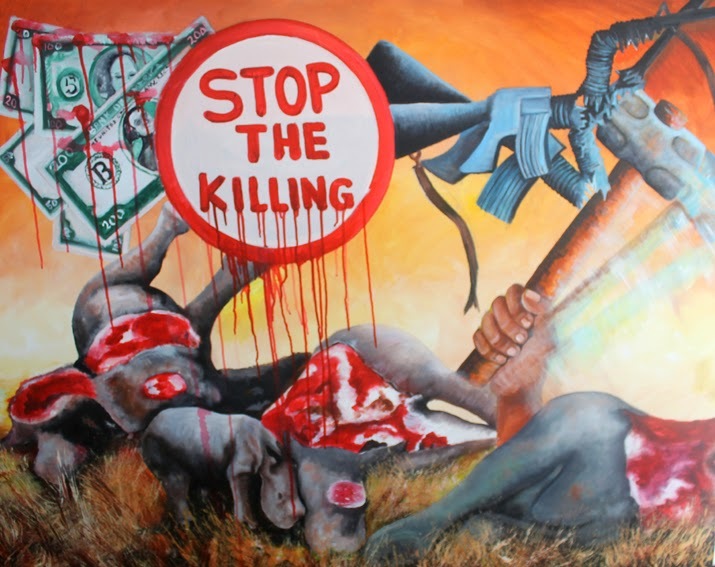 The art itself champions four core themes; to stop the killing, sensitizing against the purchase of processed ivory, extinction and finally illegal international trafficking,” he said. Although Nyirenda neglected to share the tender procedure and explain how his team arrived at Adrian Ngoma and Emmanuel Muntanga the artists selected to execute the job, the two did not disappoint, both former school teachers once based in Botswana, Ngoma and Muntanga lived up to their reputation. 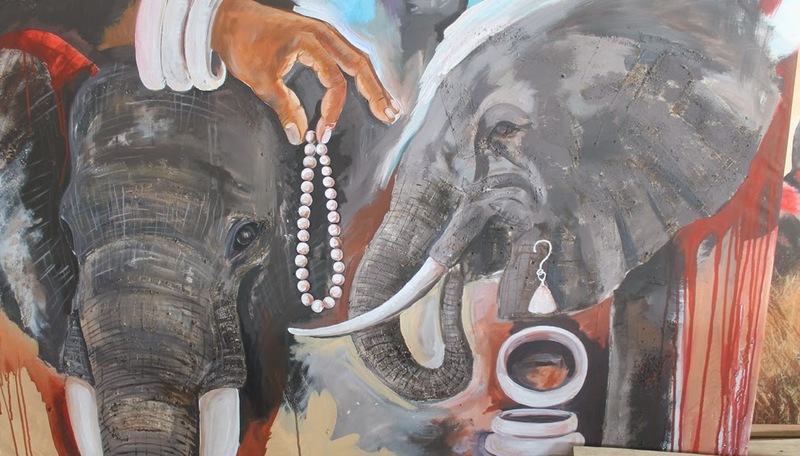 Ngoma tackled the sensitization against the purchase of processed ivory and illegal international trafficking in his paintings while Muntanga handled the indiscriminate slaughter of wildlife. Charged at a gallery rate, the six paintings cost on the upper side of K40, 000 in total. “We have various uses for the paintings. We are going to graphically reproduce them into posters that we hope to start distributing by the 1st of April. These will be placed in embassies, public buildings, schools and so on. Then we will also create large billboards and we hope the city councils can help get us space at the entrances of the main towns and at the airports” said Nyirenda. Here one is tempted to commend Nyirenda and team at WWF for deciding to choose painters for their campaign. As small as six paintings may seem, the campaign is clearly bigger than these few paintings. WWF could have easily had such a project done by an advertising agency, but their decision to empower artists, even just two, has to be applauded. Commissioned works of art are few and far apart. Right now, commission-starved Zambian artists remain hopeful towards rumours that the pending Arts, Culture and Heritage Bill will alleviate their agonies. It is understood that government will begin to purchase and commission artworks because somewhere within the bill there is a “purchasing policy” believed to be an artistic river Jordan over which they will cross and dwell in a creative Canaan to enjoy a land of milk and honey following decades of wandering in an artistic wilderness picking whatever manna was provided by the rare collector here and the expatriate there. In any case, one can only wish the artists all the best, there is no harm in hope or its audacity. 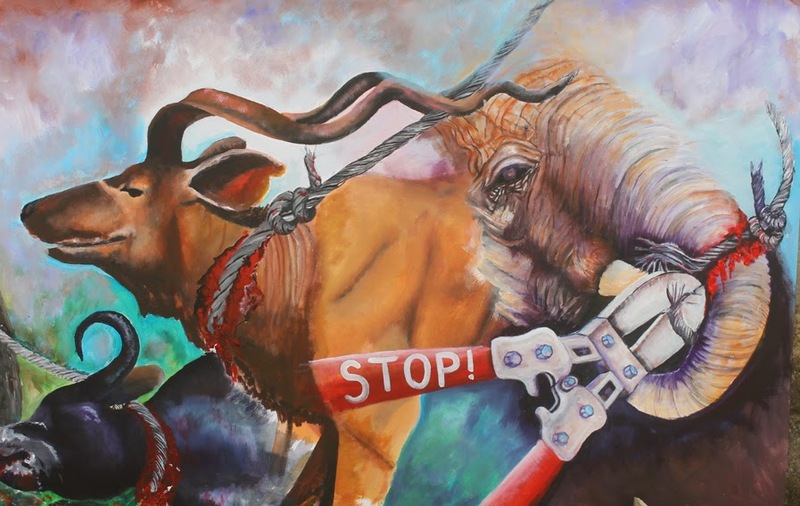 Nevertheless, Nyirenda’s use of artists for the WWF campaign is not only a welcome idea in terms of monetary empowerment, but the two artists have produced brutally eye-catching work that could prove particularly effective as campaign tools when printed on posters and billboards. No doubt the campaign is particularly crucial because the situation Nyirenda paints is quite grim. He says the killing of elephants in particular is fuelled by the increase in demand from Europe and Asia, and it is not benefiting Zambians at all, it in fact robs them of potential livelihoods if the animals are used solely for tourism. “At poacher level they don’t get more than US$ 1,000 or K5, 000 for a pair of tusks, and they have to share that money among a group of maybe 10 and yet the street value is between US$600 and US$1,000 per kilogramme and a tusk can weigh up to 15kgs” he explained adding that it takes up to 22 years for an elephant to grow fully. He said in Zambia, according to the Wildlife act of 1998, poaching attracts a custodial sentence of up to five years, it is therefore not rewarding, but even the jail term is not a deterrent factor. As much as Zambia is a transit point as well as a source in the illegal ivory trade, it is not among the countries the United Nation’s Convention on International Trade in Endangered Species of Wild Fauna and Flora (CITES) terms as “the gang of eight”. The “gang of eight” countries include the supply states, Kenya, Tanzania and Uganda, plus the consumer states of China and Thailand. The group also includes three countries - Malaysia, Vietnam and the Philippines - which are important in the transit of ivory. According to CITES, black market tusks can fetch well over US$1,000 per kilogramme and this illicit, lucrative industry has attracted crime syndicates and fuelled sophisticated trafficking networks. By the same token, Louisa Dasquineur highlighted the unfortunate situation for the March edition of Sawubona, the South African Airways in-flight magazine, she wrote: “Increasing wealth in China – and in the newly industrialised Asian countries of Thailand, Vietnam, Hong Kong and Taiwan – has created rapidly expanding middle classes with a taste for luxury goods. China now has 1.3 billion people and unprecedented purchasing power, and the appetite of its baofahu (newly wealthy) for “white gold” appears insatiable. Experts estimate that 70 per cent of all black market ivory ends up in the world’s fastest-growing major economy and that 84 per cent of the ivory on sale in China is unlawful”. And Nyirenda said it is not only elephants that are on the endangered species appendix of CITES but even lions that are supposed to be on top of the food chain this is why extinction too is one of the important themes on WWFs campaign. He explained that some seemingly overlooked species that people take for granted such as the Agama -- popularly known as “blue head lizard”, “gumu gumu” or “kolyo kolyo” in local slang – could probably be on the brink of extinction, not worldwide but in urban Zambia. He argues that this type of lizard is no longer seen in urban dwellings due to mass construction as well as wholesale killing for sport, the latter of which the author too would stand guilty if charged. An entire generation should be able to relate that growing up in the 1980s would often involve the hunting of lizards for target practice with homemade catapults and “pendo guns” (homemade guns that could shoot bottle tops). Little did we know we were contributing to the probable extinction of a species in our country in the next few decades? Nevertheless Nyirenda hopes to work with the telecommunication companies to see if they can provide a toll free line to be placed on the posters and billboards. These lines will be for alert citizens to be able to report poaching activities or the illegal trade in wildlife commodities. For the face-value viewer accustomed to the typical figurative and semi-abstract paintings that are routine during exhibitions at the Henry Tayali in the Lusaka showgrounds, Canadian mixed-media artist Wendy Dobereiner and Zambian sculptor John Mitti’s Looking Awry, an on-going duo exhibition is very unusual. Mitti’s work of course is all too familiar because his hand and use of highly polished hard woods particularly ebony is something that has not fallen too far from the tree of his mentor, the late celebrated sculptor and founder of Ulendo Art Studio in Lusaka’s Linda compound Friday Tembo who is considered by many – including the author – as the father of “reclaimed wood” sculpture in Zambia, well at least he is the first to have brought it into the gallery by any means. On the other hand, Dobereiner’s work is a bit of a punch in the eye because as much as the images of painted advertisements such as “blocks for sale”, “barbershop” or “hair salon” are spread across the city of Lusaka, no one would really expect to see them within a gallery space, and many of us see the images as mundane things that we pass by without batting an eyelid. But Dobereiner uses them here as a means of expression, to manifest her visual encounter with the city of Lusaka as a western foreigner who is seeing things askew or awry as it were, thus the exhibition title Looking Awry. Dobereiner has been in the country for about six months now; she is a guest lecturer in Fine Art at the Zambia Open University (ZAOU). “When I came here I couldn’t believe all the – hand painted – advertising, in Canada you just can’t put up advertisements anywhere. I was amazed and I researched folk art, because the paintings on the walls fascinated me, but this isn’t folk art. I started to research some of the painters who do this, there is this huge desire to depict something”, she explained during a walkabout while hanging the work before the show opened last week. “But so I found that since I’ve been here they have been replaced by photographs or vinyl I really thought it was a shame that you will lose some of these quite interesting graphics they are not folk art, but they are done from a passion of trying to depict something”, she said struggling to define or rather categorize the unique work. Surely most of the images are from barbershops and salons and it is true quite a number of these are disappearing and being replaced with vinyl and photos with large format printing becoming cheaper. But Dobereiner’s observation is no new thing. In a 2010 interview (Sign-writers Vs digitally produced billboards, Weekend Post, Friday July 23 2010), Wesley Chongo a prominent sign-writer who was handed down the skill by his father and had been practicing for 13 years said “But even with computers we haven’t lost some clients because they know that one of my works can last for up to 10 years, whereas the computer stuff is quick to fade”. Chongo may have had his point back then, because four years down the line industries such as the apparently booming and rapidly mushrooming drilling companies that line Lusaka’s Great East Road for instance prefer the large advertisements of their Ashok Leyland drilling trucks to be painted rather that printed on the walls. One can even sense some competition here on who can render the most accurate depiction of a truck down to its finest detail. Nevertheless, Dobereiner has apparently immortalized some signwriting by using them in collage with her own formula of plaster and Cobra wax on canvas. When asked about her thoughts on how she really felt about the diminishing number of painted signs and advertisements in certain areas, she said she thought it was a huge loss; she is convinced that a rich part of Zambian visual culture is dying. 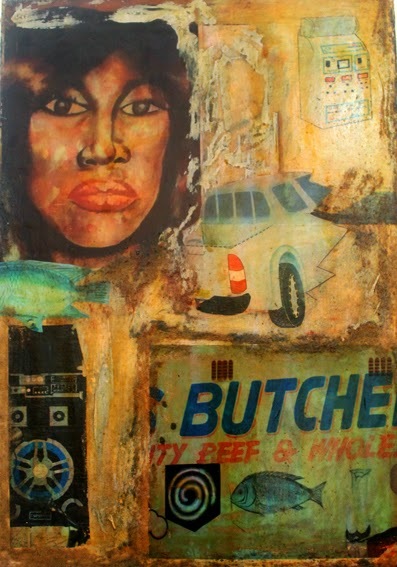 But in Looking Awry she does not just concentrate on the signage of Lusaka as a concept for her visual encounter with the city or with Zambia. 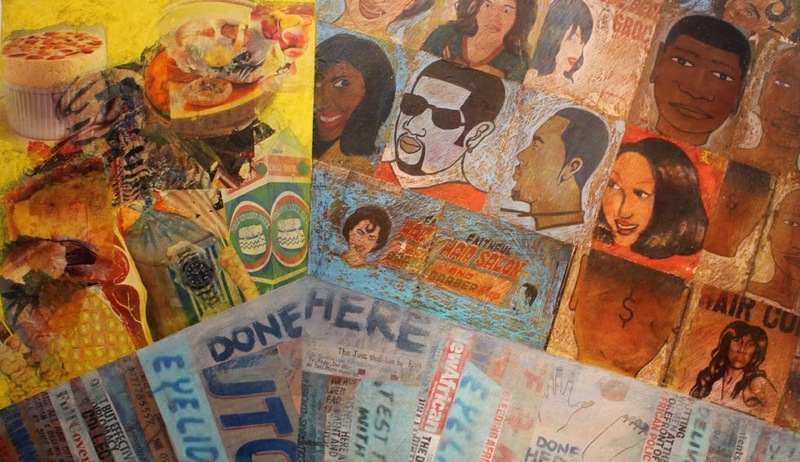 In one of her pieces -- actually one that stands out -- she grapples with the concept of a melting pot culture, a blending of cultures using femininity to drive the point home. Here she appears to be sampling from her roots in feminism, a movement in art that sees the production of overtly feminist artworks that dates from the late 1960s onwards. Entitled Out Of The Maize, this work is a curious collage of female body parts; legs, torso, abdomen, among the focal points of the artwork is a pubis and an urn or vase that appears to be sprouting female eyes of all races. For this particular exhibition Dobereiner decided to display her work alongside that of Miti because she felt his work too embodied Lusaka from a local perspective. “John is also dealing with his view of Lusaka, the only thing is I don’t come from Lusaka and John does. I can’t really speak to it but its local, and a lot of my stuff is about local,” she said. Apart from ZAOU, she has also taught at the University of Columbia, the University of Alberta and the Emily Carr Institute of Art and Design. She has also been the recipient of at least five academic awards and has numerous transcontinental gallery exhibitions. On the other hand the closest Miti has been to any semblance of academic training is the studio apprenticeship from his earlier mentioned mentor. He is currently working alongside Dobereiner at her Ibex Hill studio with his former Ulendo Studios stable mate Rabson Phiri. Read about Miti’s profile and experience in this exhibition soon. 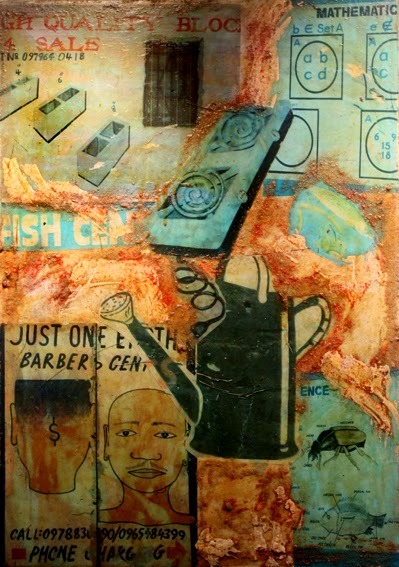 Mansa-based artist Aubrey Chali has been selected to attend the 2014 version of the International Symposium of Painting and Sculpture in the Saguenay-Lac-Saint-Jean in Quebec, Canada. Excited, Chali has already confirmed participation and he is expected to be in Canada between the 19th and 22nd of June. The symposium includes workspace for the artists to produce up to three works and to have them sold at a 30 per cent commission which goes to the symposium organisers, however, Chali will also receive a stipend of $700 (seven hundred Canadian dollars). He learned about the symposium through some foreign friends he made during the Insaka International Artists Workshop in Livingstone that was held during the UNWTO where he also exhibited in the Kamulanga show at the Livingstone Museum. “I will gain International exposure, connections, exchange of artistic skills and ideas and of course recognition,” says Chali a 36-year-old artist who insists that he earns a living solely by producing art “Honestly speaking as a self-taught freelance artist I feel and believe that, whatever I will learn in the symposium definitely will be applied in my art career progression and advancement, and of course it will be very beneficial to my friends in art as well as Luapula Visual Arts Council in general”. This will be his first time abroad and he is excited by the facilities he expects to find in Canada, he says there are no art facilities in Mansa, and the going is tough. “This is when the Government has put up our first ever Cultural Village in Mansa and of course Luapula Province as a whole, through the office of the Provincial Cultural Affairs Officer, otherwise it is still a work in progress,” he says. He did however enjoy the opportunity of creating commissioned art works in 20 schools in Mansa, Milenge and Nchelenge Districts of Luapula Province for Africare International and the UNICEF. These were murals on water and sanitation and it was actually a sensitization project on hand washing, hygiene and boiling of drinking water. 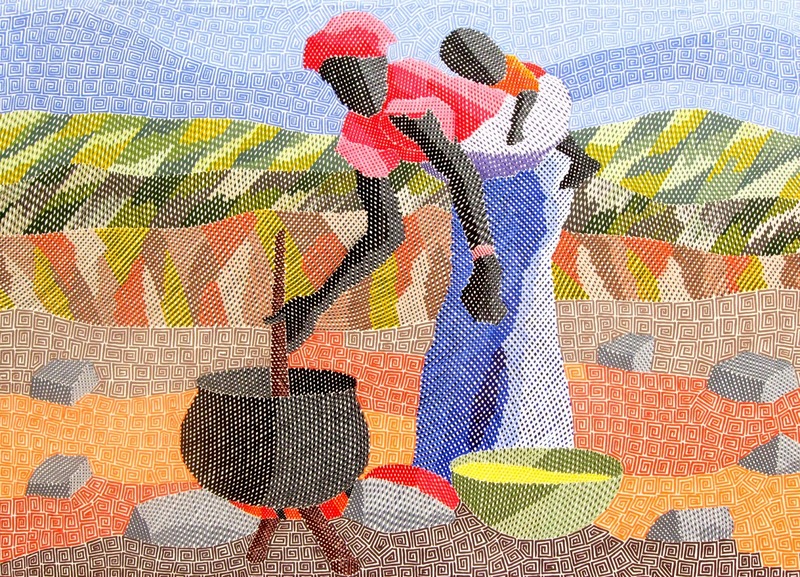 Chali’s work is easily recognisable; he has managed to develop his own unique style which from a distance resembles an applique technique which is very similar to cloth in appearance. He insists that now he surely understands that, lines and colours have specific spiritual truth. He applies linear brush strokes to convey a spiritual power and imagination using various colours for an expressive, symbolic meaning of his paintings. He says art fills him with a sense of accomplishment and has proven a most amenable vehicle for translating his inner vision to outer reality, he paints from the inside out and enjoys the responsibilities art promotion entails; the reward he says is being part of a continuum of creativity. 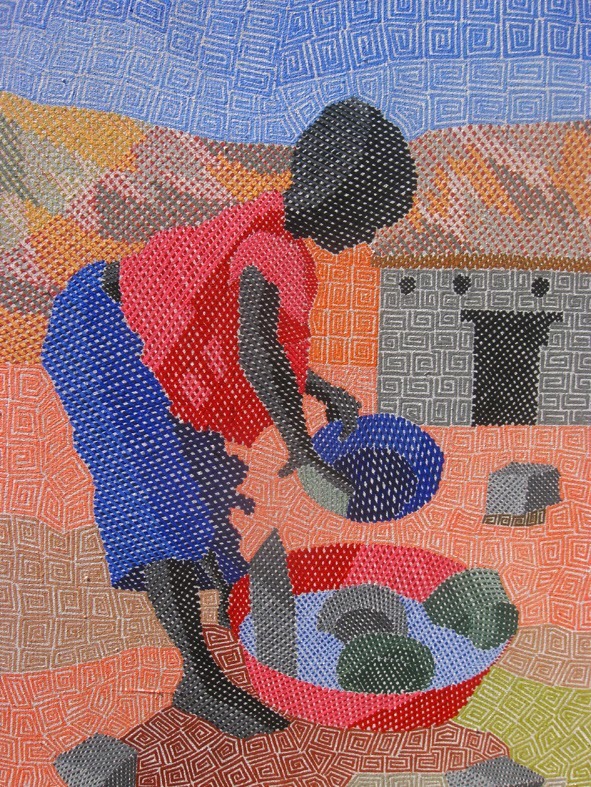 “I am a lover of my traditional way of life which is usually depicted in my paintings; I mainly produce paintings reflecting much of my traditional roots and a series of social subjects in my homeland,” says the 2010 Ngoma Awards finalist in the Akwila Simpasa category for the best upcoming artist. “I paint people in their environments because I am curious of where they have been, where they are and where they hope to go in life. My subject matter is about people’s daily routines and a comment on human nature”. 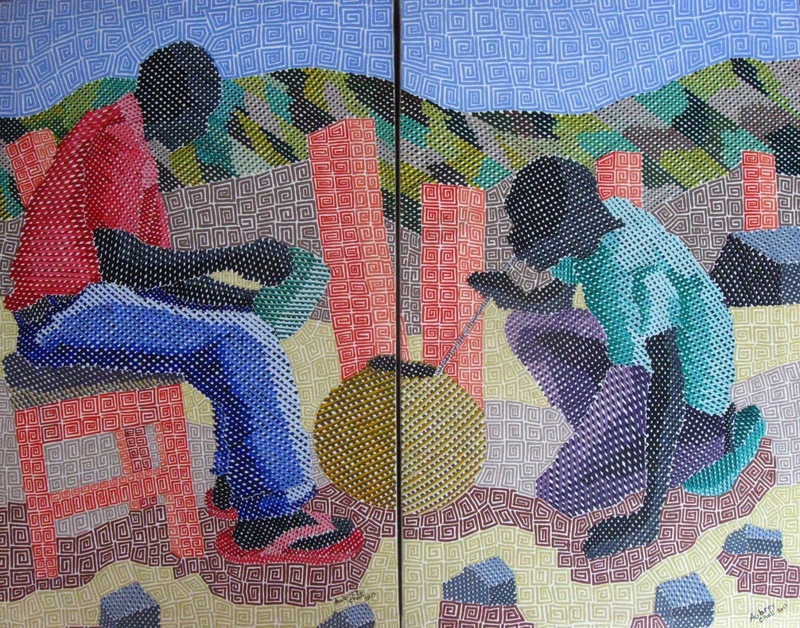 Since joining VAC in 2000 he has participated in several group exhibitions in and outside Mansa that include the Mutomboko Arts exhibition in Mwansabombwe – Kazembe, a group art exhibition at Mansa Hotel, the Provincial Library, Mansa, Kaole Guest House, Mansa, Mansa Parish and the Copperbelt Visual Arts Council Gallery – Kitwe. Late Finland-based Zambian artist Baba Jakeh Chande aka Romanus Chande was put to rest in a memorial service in Helsinki on Saturday 1st March. He died at the age of 42 at the Hospice Terhokoti in Helsinki on Friday last week after a battle with a cancer that affected his liver. Survived by a wife Riikka Soumi-Chande and two children, a seven-year-old girl and a five-year-old boy, he had been a resident of Helsinki since 2006 but travelled back and forth to Zambia for his art projects. He was an active Helsinki artist who participated in various exhibitions mostly as a performance artist, his most recent being in November 2013. The artist’s widow Riikka confirmed that her late husband had cancer of the liver, as well as a tumour on the liver that was diagnosed in September 2013 and in an announcement to friends through social media in October last year, the late artist revealed that he had been diagnosed with hepatitis B, which he suspected to have had for a very long time and despite having gone through normal regular check-ups, it was never detected hence causing the liver cancer. He revealed that the tumour on his liver had steadily been growing bigger until he developed symptoms such as stomach aches, headaches and nausea. He had been having regular-severe abdominal pains since early 2013 that led him to seek medical treatment and several examinations that gave him these results. Chande was a visual artist exceptionally skilful in taille directe an approach to sculpture that is practically freestyle in which artists do not use a model or maquettes in front of them but work from memory. His forms were mainly organic in nature and during a two-man exhibition he held alongside close friend and Rockston Studios stable mate Ngamanya Banda at the Chit Chat Café, Lusaka in 2006 he explained: “The organic and most intense forms reveal my inner sensitivity and the harmony I find in the world around me”. Working mainly in stone, he was in fact a subtractive sculptor removing material to create a finished work. His preferred form of subtractive sculpture was by far the most technically challenging due to the nature of stone medium which can be one of the most limiting in expression. However, anyone familiar with Chande’s work will attest that he was able to work marble with the agility of cloth. A good example would be Endangered Species, a sculpture on the lawns of the Zambezi Sun Hotel in Livingstone which is a popular photo spot for tourists. 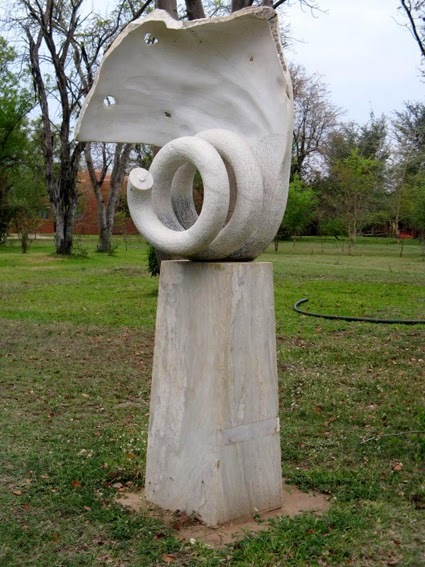 This stone sculpture features an organic form that rests on a high plinth. The lower part of the huge rock is extraordinarily hewn into a perfect curly spiral that leaves you wondering how it was achieved even with a grinding machine; this lower part can also be likened to the curled trunk of an elephant. The upper part of the sculpture takes on a broad leaf-like form which resembles an elephants ear and the works surface alternates from smoothed out areas to rough and raw ones. Speculatively speaking, Endangered Species is the sculpture of an elephants head, which is befitting of the part of Livingstone in which is located. Chande also had the mischievous knack of creating solid female torsos that would also have a phallic semblance making them somewhat androgynous objects in terms of a representation of the male or the female. 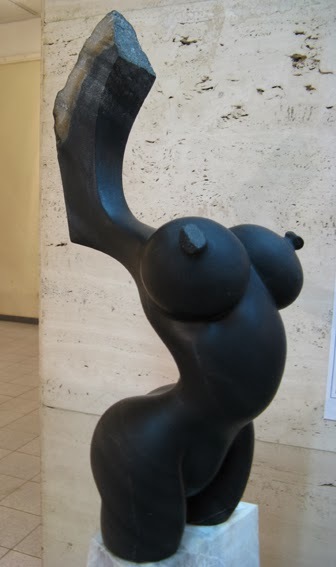 A good example is the grey marble torso he once showed at the Lusaka National Museum, in this work – as in many -- what could easily represent the scrotal sack could easily represent breasts making it a powerful representation of male and female fertility. There is no surprise that on the Helsinki art scene he was known more for his performance pieces than sculptures because this is a trait he had long developed before moving to Europe. While at the Rockston Studios in Lusaka, he was always staging spontaneous pieces at times during gallery exhibitions even though performance art has still not yet taken root as a form of creative expression in Zambia. 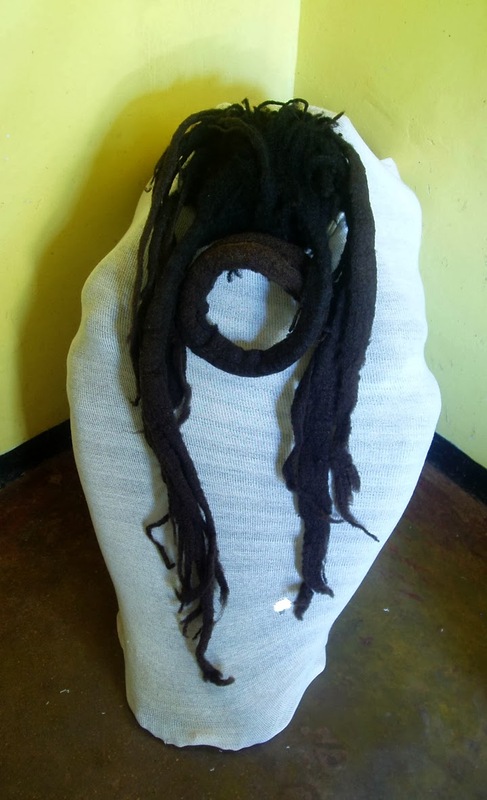 He is particularly remembered for the performance piece Awaiting Revelation in which he stripped, covered himself in stretched mutton cloth from head to toe revealing only his waist-long dreadlocks. In Gabriel Ellison’s book Art in Zambia, he was mentioned among the most promising artists that held the future of contemporary Zambian art in the palm of their hands; he was 33 years old at the time. 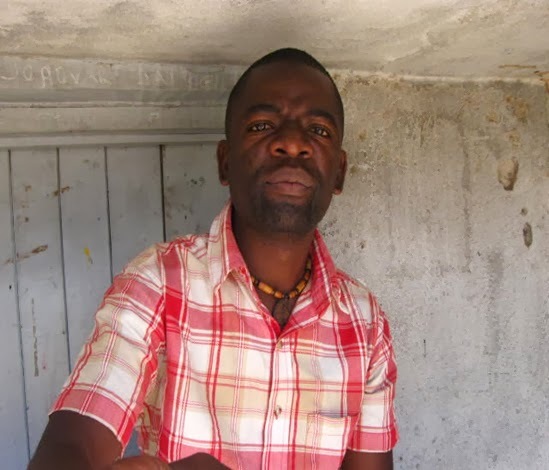 The loss of Chande may be best expressed through the compassionate words borrowed from close friend and one time stable mate Zenzele Chulu, the Visual Arts Council Vice chairman. In a eulogy targeted at close friends within the visual arts fraternity – which he agreed to share for publication after some convincing – a few excerpts from Chulu’s passionate account may sum up the life of the artist. 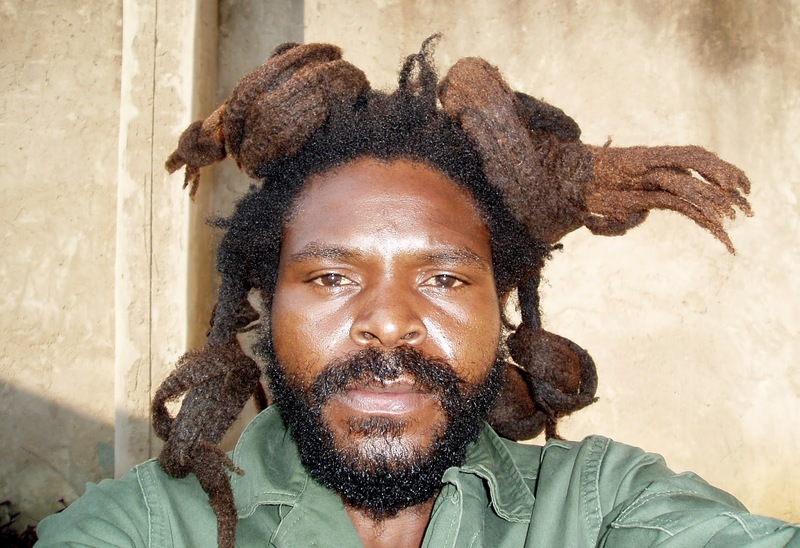 “From the humble dusty streets of Chilenje, Lusaka he lived in a highly privileged neighbourhood with other legendary artists who collectively formed the famous Rockston Studio ( 1985 ) guided by the strong scripture inscriptions “ Iron Sharpen Iron” , Baba Jakeh executed his duties whole heartedly to save and serve Rockston in all his days. David Baruch Chirwa, Lutanda Mwamba, Martin Chanda, Nezias Nyirenda , Zebby Muhango, Ngamanya Banda, David Lewanika, the list continues of those artists that Baba Jakeh shared his unique creative vision and how he influenced the drive for excellence,” states Chulu’s tribute to Chande in part. “As artists we will cherish those unforgettable days, life was an art performance for Baba, he celebrated his days in the most artistic context you could ever imagine, his looks, the skill in carving Lusaka marble is legendary, a tough but soft spoken Baba lived up to his bill, with a long string of unrecorded recipes he created. We shared the music, the laughter, always discussing creative futuristic ideas for the benefit of our children and their children. Such was the Iron Sharpen Iron reality”. Chulu discloses that his late colleague had a considerable amount of formal and academic exposure and attended the Mbile International Art workshops, Art Academy Without Walls Workshops, the introduction to Glass Forming at Open University, University of Art and Design, Helsinki and the Etching and Printing course, London Print Studio (currently Global Print Studio).